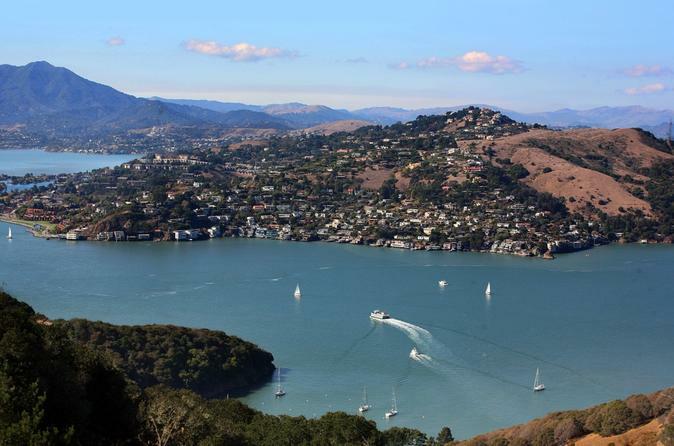 Soak up the beauty and colors of this scenic landscape on this unforgettable helicopter tour to Sausalito! This spectacular day trip also includes a relaxed lunch at Sausalito and a picture-perfect ferry ride back to San Francisco. Admire the breathtaking aerial views of the city and bay on your 20-minute helicopter flight. Upon landing, your driver shuttles you to picturesque Sausalito to enjoy a leisurely lunch at one of this colorful village's top Italian restaurants. Choose from a full list of entrees and enjoy your choice of an appetizer or dessert. Afterwards, spend as much time as you like to explore the town known for its artists and art galleries. Browse its many quaint shops and unique boutiques. When you are ready to head back to the city, hop aboard the ferry to conclude your day with more beautiful views.